Can you port the mod to 1.7.10? What do I do with the salt? I'd wait for Immersive Engineering to add a molten salt reactor, then you can use the salt for that. Or, if it's oredicted correctly, you can use it with Pam's Harvestcraft dishes/foods that require salt, like butter. Can I use it in my privat modpack? Does this mod currently work with the latest version of IE? 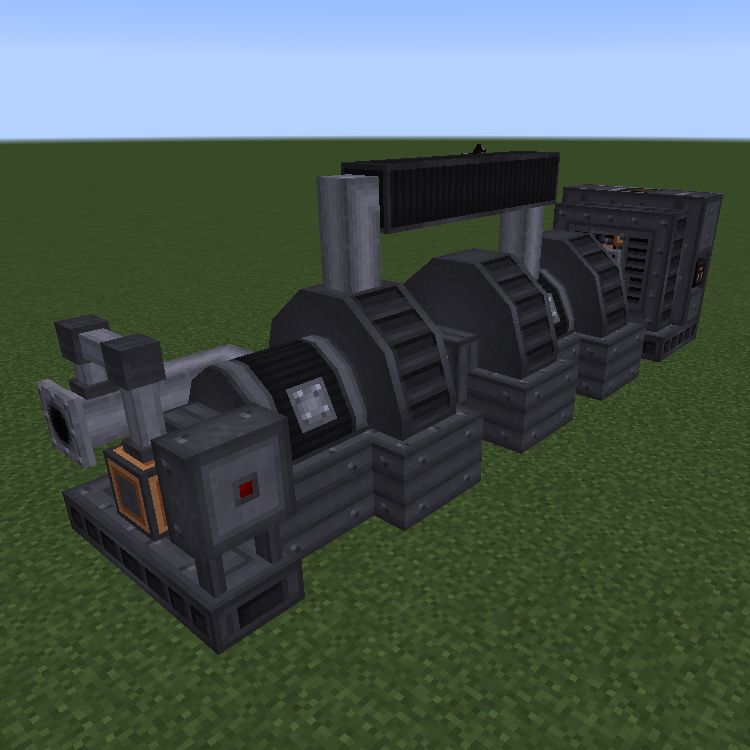 A solid fueled boiler to use wood/coal/charcoal/coal coke to generate steam for the generator. Maybe you could give a steam production bonus for pulverizing the fuel like in real solid fueled boilers. A liquid fueled boiler to burn all the excess creosote oil you inevitably end up with to generate steam for the turbine. Alternatively, maybe there could be a gas burning turbine which directly consumes liquid fuels to turn the generator, since it was made into its own multiblock. If you wanted to be really fancy, maybe you could add a "recuperator" multiblock which could accept the hot exhaust from the gas turbine and use it to generate steam for a steam turbine to mimic real-world combined cycle power plants. If these were added, Immersive Engineering with Immersive Tech could really end up being a true end-game power source that would require massive amounts of materials and automation, but would also churn out crazy amounts of power. The model of this turbine would be the same of the steam one (or similar). The harder part to do this would be the model and at the moment I have no idea to make another one different. But I don't exclude it for the future. It downloaded at http://mod-minecraft.net/immersive-tech-mod/ . The item "I: steam_burnTime = 250" in the setting is not working. I think that it is burning time, but changing it does not seem to change anything. The version I use is 1.10.2-forge1.10.2-12.18.3.2511. Liquid Slime wont craft in the mixer. When I put clay & wheat in the 1st 2 slots they become lock and have to break the Mixer to get them out. The animation shows for the Mixer working, but no progress is made for the liquid slime. Yes there is water in. I am really enjoying this mod, I really like the alternate ways for power..
What can I use all this salt for?